A lot of people across the world have gotten every wrong idea regarding packing companies. The truth is, moving companies is no longer a new phenomenon to the majority of people. We all have used the services of packing companies at some point, thus we all have an experience about them. But what is fascinating is how we allow some funny stories about these companies to spread. This article looks at some of the myths that have been spread relating to movers. Many people associate hiring of a packing company to the high and mighty. They think that moving companies are a preserve of only the rich. Well, this myth has no truth in it. The fact is, moving companies are for everyone, whether you have a lot of money or not. It is not true to say that every packing company charges high costs, as The Unbeatable Removals in Australia enjoys a significant client base made of low income earners. Choosing to move your house by your own means might seem cheap on the face value, but as they say, the devil is in the details. When you look at the cost of moving your items to the new home, and doing this all by yourself, you will realize that you have spent quite a lot of more; more than that which you could have spent on a packing company. Just because you got conned by a stranger in the city doesn’t mean that everyone else is a thief. Unfortunately, most people who love in bog towns and cities want to associate every stranger to a thief. For this reason, you will find many people reluctant to allow total strangers into their compounds. The fact of the matter is, most packing companies have long-term contracts with their employees. At the same time, they have personal details of each one of the employees. So, when the employees have been assigned to help you move your belongings to a new home, you should not be hesitant, given that these people are well-known by the packing company you are using. It is unfortunate that your last experience was bad, but that has nothing to do with your next experience. Many people would want to associate their last experience to everyone else they find. This is not correct. This is another myth that needs to be debunked. If you paid little money for your last move, don’t force that same price to another mover when you want to move again. 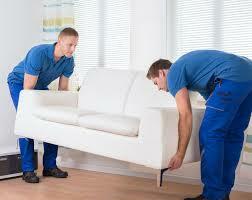 Remember that every moving company has its own quotations based on the kind of services they offer. Again, the services that these companies offer varies. You will realize that the loading and offloading of the items are done differently, and hence the price will be different. So many of us believe that any box is okay to help us move. The fact is, there are boxes that have been specifically designed to aid in relocation. If you use a different type of box, therefore, you will find that you are having a hard time to have all the items moved efficiently and in good condition.